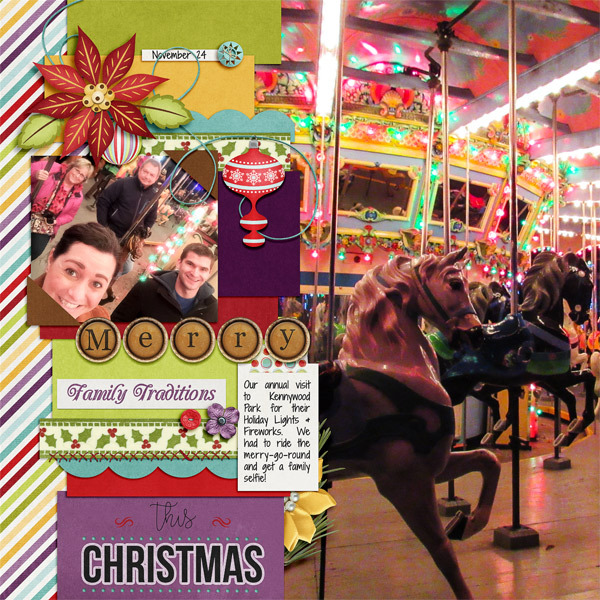 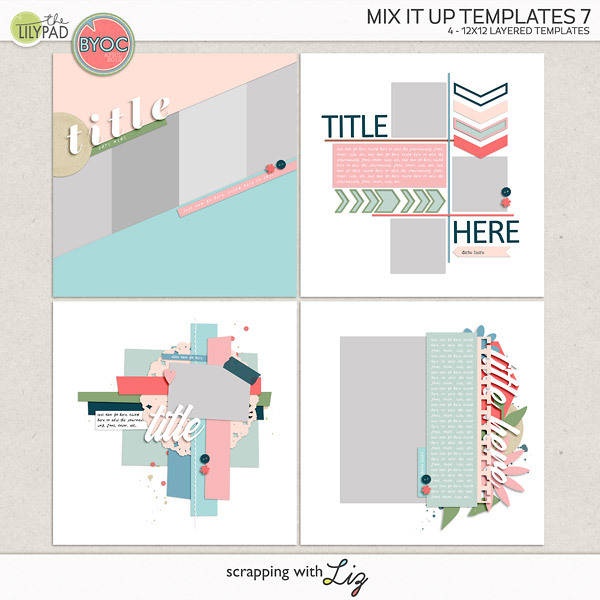 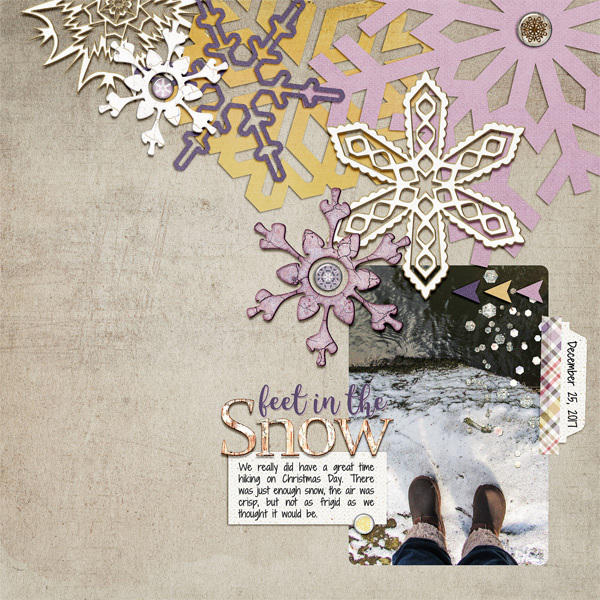 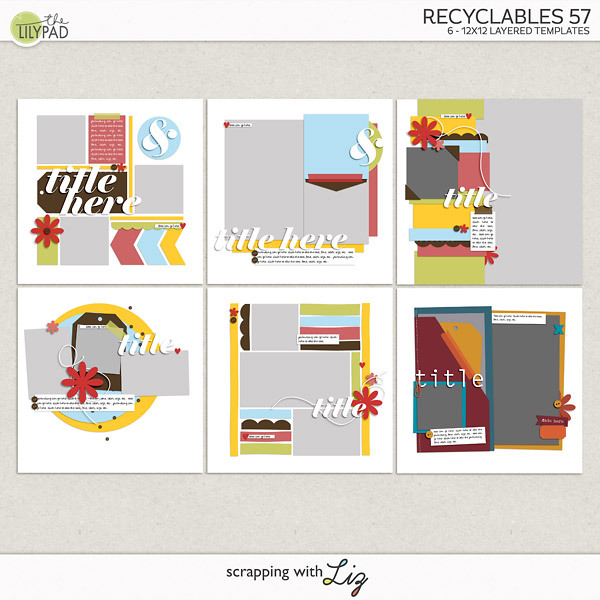 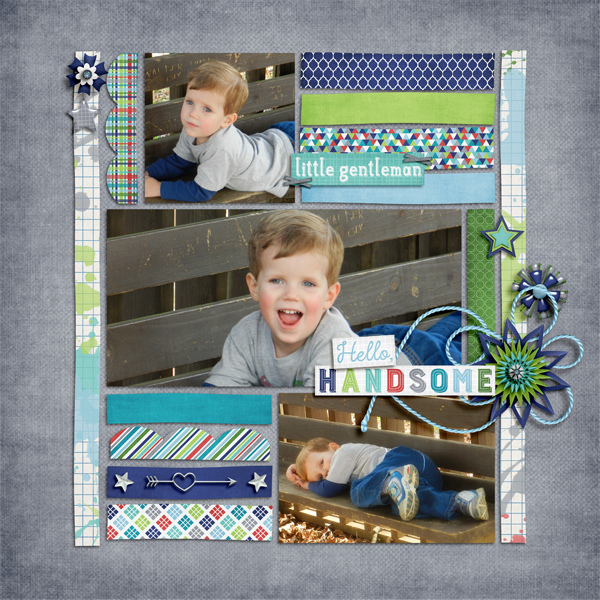 Scrapping with Liz: Lots of Half Price Deals! 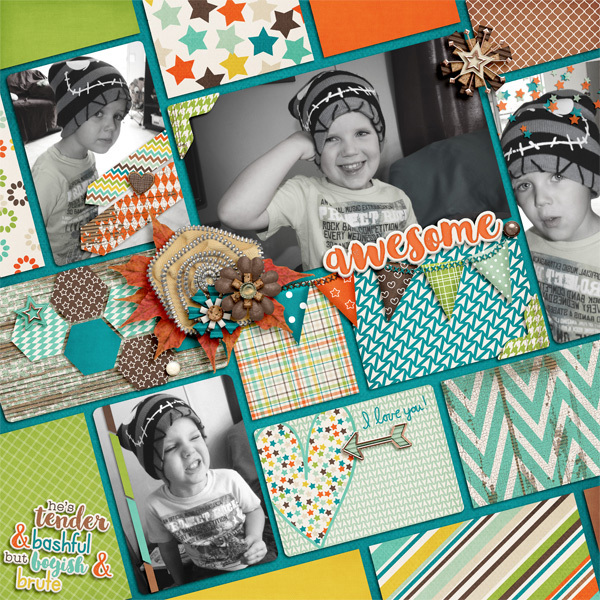 Today I have two *new* products at The Lilypad, as well as two other favorites, and they are all 50% off. 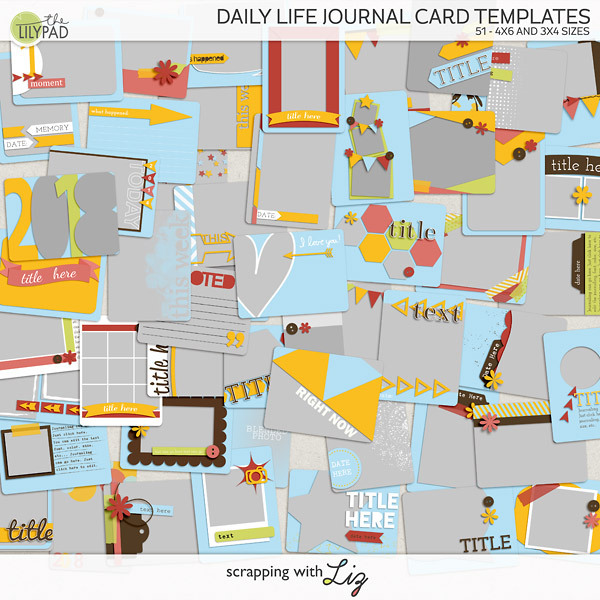 Recyclables 57 and Daily Life Journal Cards are both sets of past freebies. 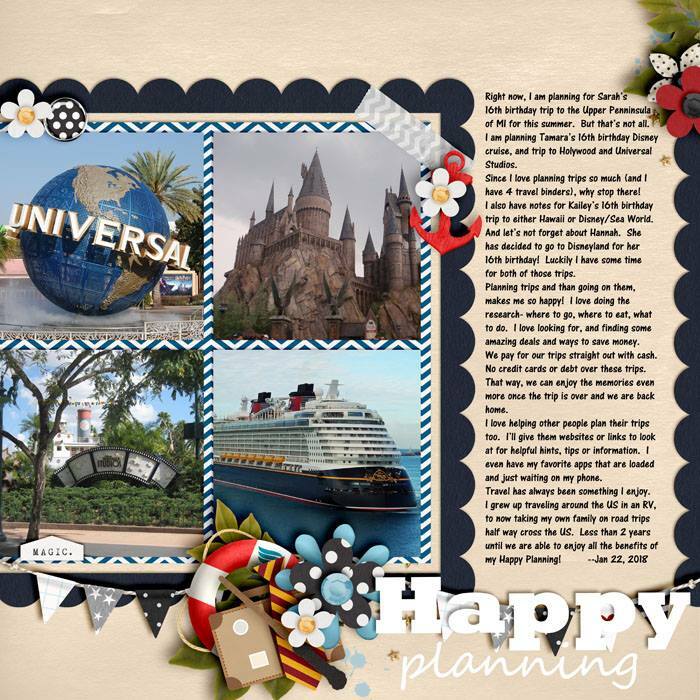 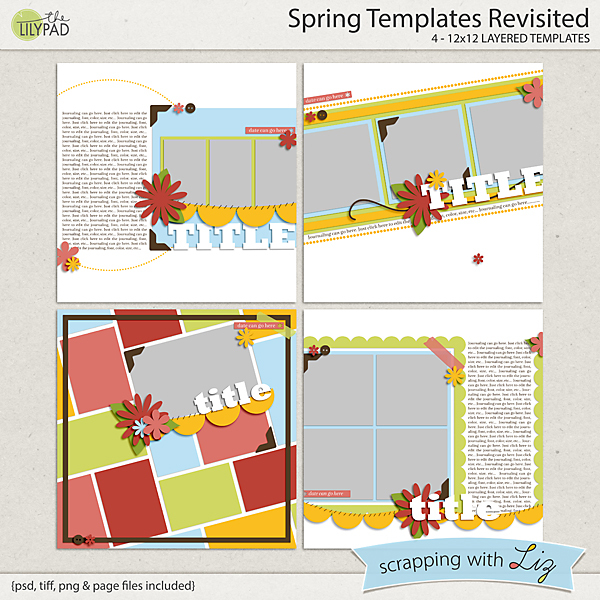 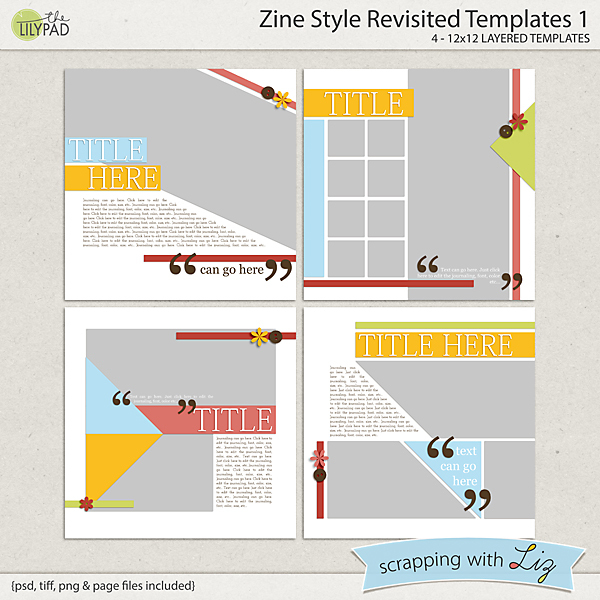 The Spring Templates have a more traditional paper style, and the Zine Templates are more clean and modern. 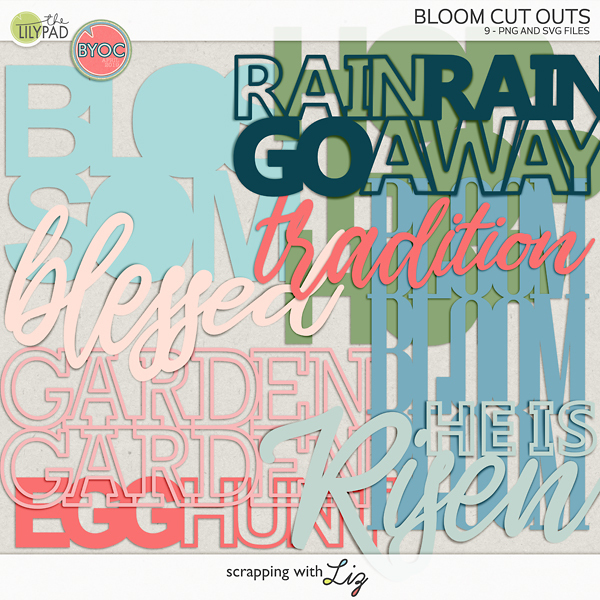 I'm sure there is something here for everyone, whether you are traditional, modern, or a pocket scrapper. 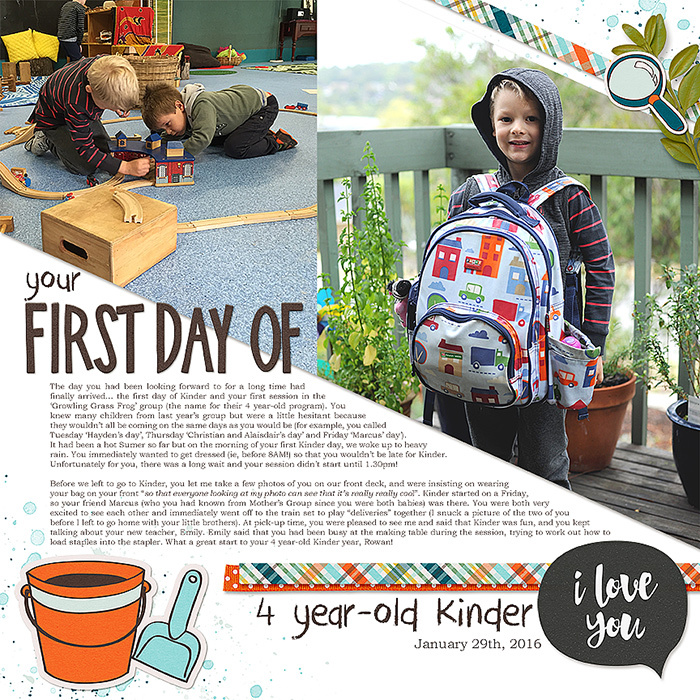 The 50% discount is for today only, though!